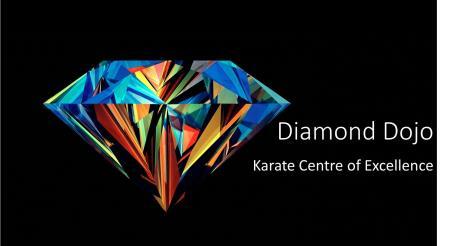 If you’re looking for local Martial Arts classes in Leicester you’ve just found our centre of Karate excellence in Wigston, Leicester with a dedicated 400m2 venue with fully-matted training area. We offer high quality weekly Karate and fitness classes in Wigston, Leicester for kids age 5+, teens and adults. On a national level we bring together world class Karate coaches with the most promising students. Kids’ Karate Classes help young children with confidence and concentration whilst still being fun. The effects of Karate can be seen in their schoolwork and classroom behaviour as well as the respect they show others. For our supportive parents we have a Waiting Room with TV and free WI-FI. Teenagers can get so much from Karate, physically they learn how to defend themselves and gain self-confidence, and in time their Karate achievements are often taken into account by prospective universities and employers who see strength, trust and good character in them. They’re also less likely to be bullied! Adults can burn over 1,000 calories in a typical one hour Karate Class, whilst improving their flexibility, confidence and self-awareness as well as learning how to defend themselves. Our members gain confidence from the first lesson and those who have a deeper interest will have opportunities to train with, and potentially represent their country at British, European, World and Olympic level. If you’re new to Karate we invite you to join Team Rankine, led by Sensei Michael Rankine, 3rd Dan. Sensei Michael has gained black belts in four different Karate styles and now teaches Shotokan Karate. He has successfully represented England at an international level and is a sports training professional dedicated to helping Karate athletes (whether beginners or elite level) to reach their potential. He has a long and distinguished pedigree in Karate competitions (both Kumite and Kata) and is now a proven trainer to elite Karate athletes. • Three gold medals at the 2018 British Karate Federation’s International Open. • Seven medals at the 2018 Central England International Open. Students with a Wado Karate background are invited to join Hei Jo Shin, which is a branch of JKF Wado-Kai, led by Sensei Raj Bhardwaj. We’d like to invite you to come and train with us for one session, completely free of charge. We’re very proud of our dedicated facilities and believe that we are the best Karate Club in Leicestershire and among the best in the UK. Come and see if you agree with us.